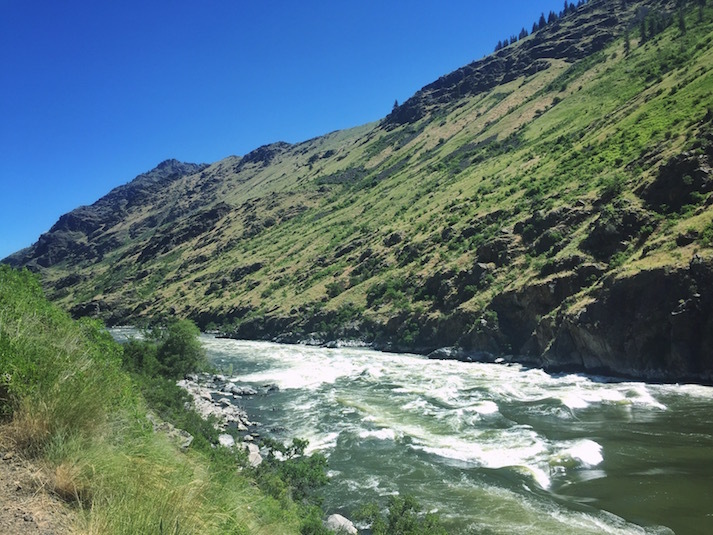 This summer has been and will continue to be one of the best in recent memory for whitewater rafting in the western United States (you can thank this past winter’s above average snowfall now melting into nearby rivers). So if you haven’t ridden any rapids yet this summer, what are you waiting for? To start, you could round up some friends, find a reputable outfitter, and book yourselves on a half or full-day whitewater trip — here are some options. 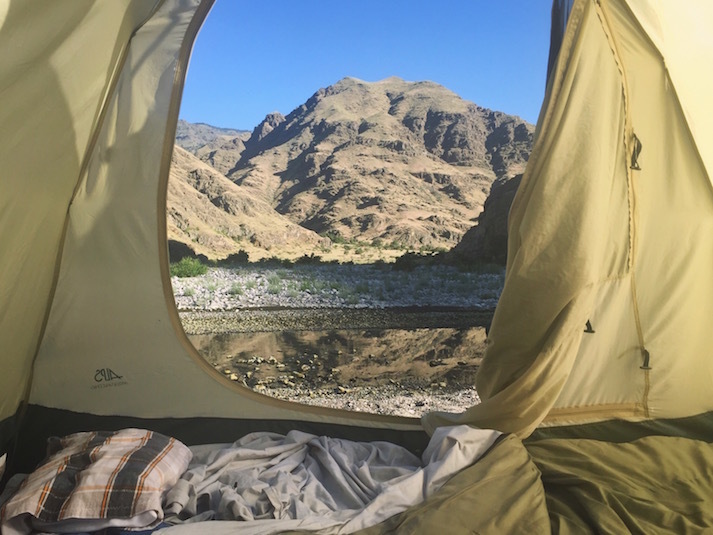 Or if you’re looking to take your whitewater game to the next level, cover more ground, camp riverside at night and get further off the well-paddled path, you could opt for a multi-day river trip. Longer stints on the river, however, require a bit of planning, in that you don’t want to show up unprepared. 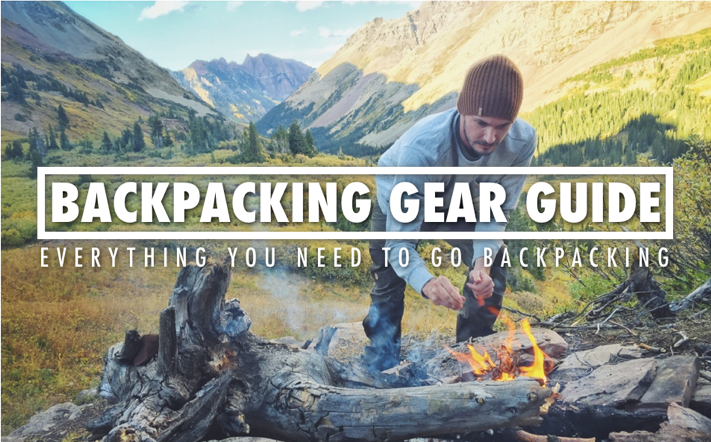 To stay comfortable and safe, you’ll likely need a few pieces of gear you don’t already own. But fear not, to take as much of the work out of your trip preparation process of possible, I’ve compiled the below whitewater rafting gear guide based on the gear I used during my most recent whitewater rafting trip down Idaho’s Snake River (and based on gear I wish I had on past whitewater trips in Nepal, Colorado, British Columbia and California). 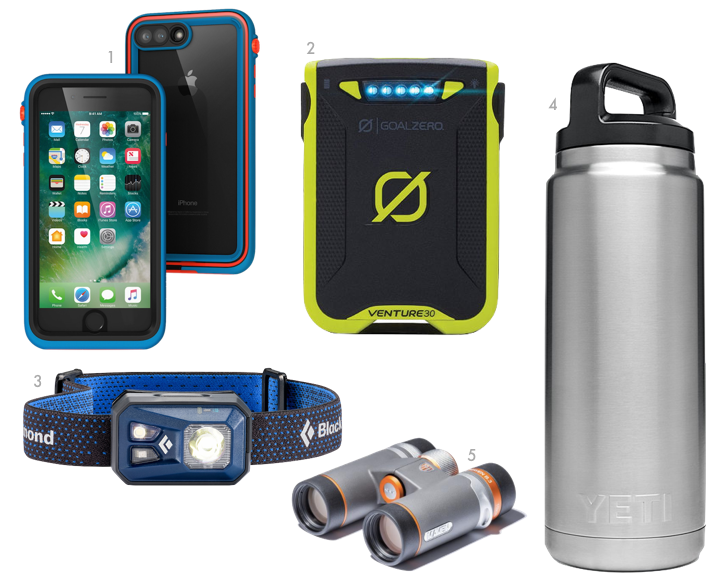 If you’re going on a single day rafting trip, check out the items under “On The Boat.” You may also find some of the items under “More Essentials” helpful too. 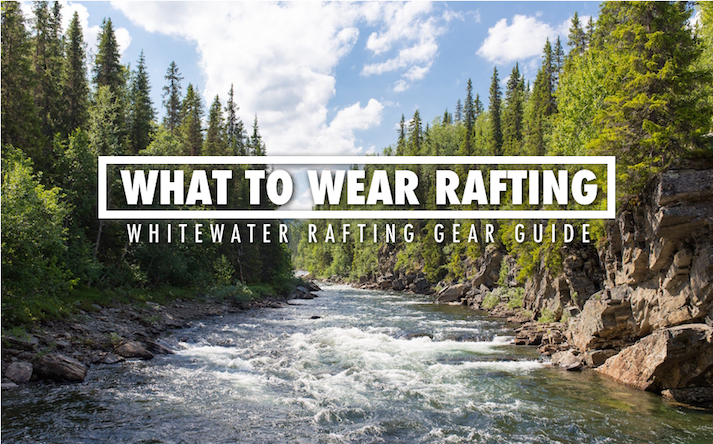 For those heading out a multi-day rafting trip (one that includes camping) this entire rafting gear guide is for you. 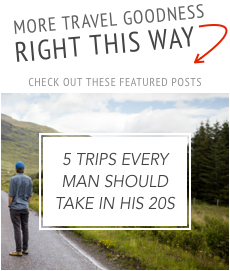 All in all, even multi-day rafting trips don’t require that much gear. 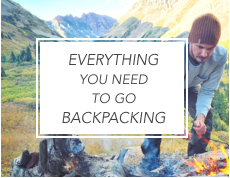 The key is to pack a light, streamlined bag that includes quality items that’ll do the job they were built to do — and do it well. 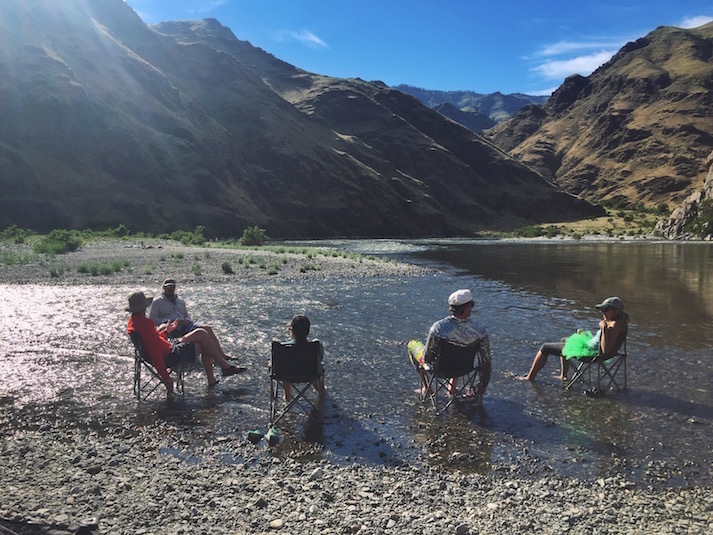 Remember, river and weather conditions can vary greatly depending on the location of the river you’re rafting and time of year — so always also check the recommended packing list provided by your rafting outfitter. 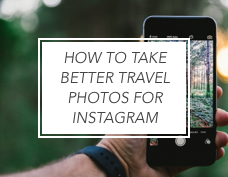 Look at all the items on this guide — you’re going to need a bag to put them in. 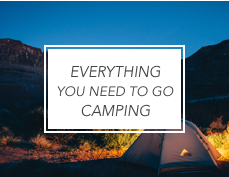 And since that bag and all the items in it will be floating down the river behind you on a supply raft, your suitcase or regular weekend bag aren’t going to cut it. 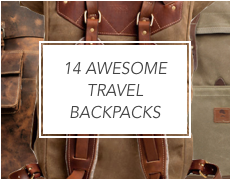 So you’re first order of business should be investing in a waterproof duffle bag. 1. 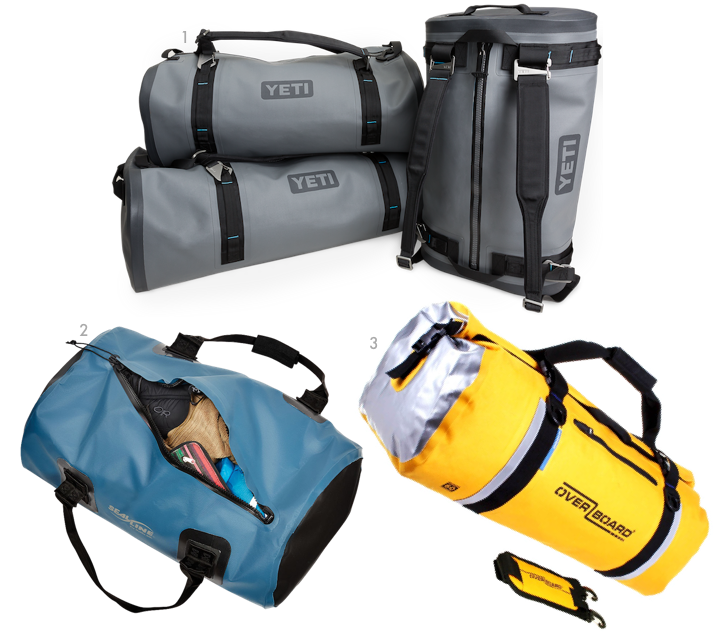 Panga by Yeti – This tougher-than-nails, airtight duffle bag is engineered for adventures on and around water. Most importantly, it’s fully submersible, meaning that when the bag is zipped shut, there is no way water is getting in, even if you threw it in the river and held it under. It also features removable backpack straps for easy transport and ultra-tough and durable materials throughout (seriously, you won’t find a more rugged and capable waterproof duffle bag than this). It comes in three sizes, a 50, a 75 and a 100 (numbers equal each bag’s capacity in liters), but the Panga 50 should easily carry everything you need for your multi-day rafting trip (and if it doesn’t, you’re likely over packing). Plus, the Panga 50 will easily fit into most airplanes’ overhead bins. This is the bag I used on my most recent rafting trip and I never once worried about it or my gear inside. You can read my full review of the Yeti Panga here. 2. SeaLine Zip Dry Duffle Bag – Like the Yeti Panga, the SeaLine Zip Dry Duffle is totally waterproof and waterproof. And while it lacks backpack straps and the same type of super tough material as featured in the Panga, it’s still a sturdy, well-reviewed bag that plenty of water-bound travelers rely on (thanks in part to its more affordable price tag). It’s available in a 40-liter capacity (pictured) as well as a 75-liter. 3. OverBoard Classic Waterproof Duffle Bag – While the above two packs feature easy-to-use, airtight zippers that make them waterproof, this duffle bag features a classic roll-top closure in the style of a traditional dry bag. While it’s 100% waterproof and can handle a quick submersion in water (pending you rolled and secured the top properly), you wouldn’t want this bag to go underwater for long. Granted, the chances of your bag getting submerged under water for a long period of time are slim, so this duffer should get the job done (maybe just also put your electronics in a ziplock bag). 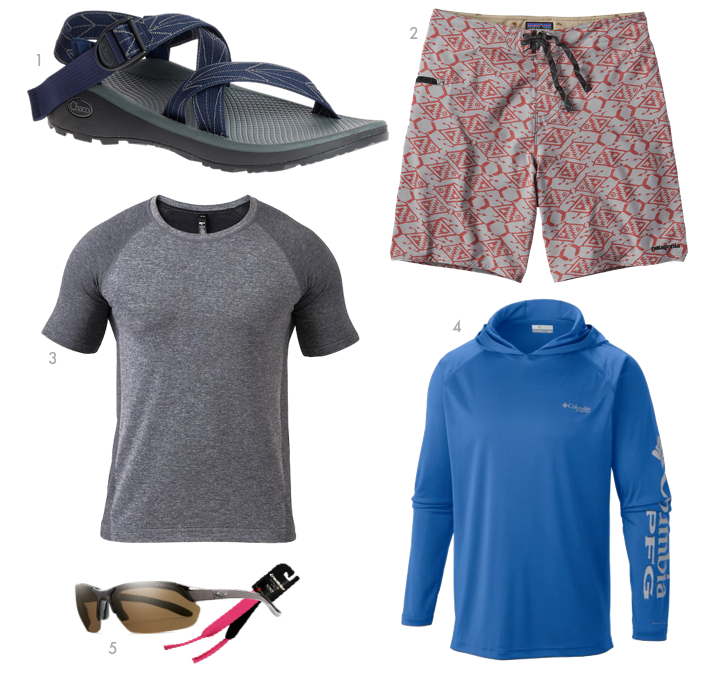 1.Sturdy Sandals - Z/Cloud Sandals by Chaco - Shoes that stay on your feet, have some traction and can get wet are essential while rafting (no, your old running shoes won’t cut it). The Solution? Get a pair of Chacos — they’re the go-to footwear for river guides around the world. They’ve got several models that’ll do the trick, but the Z/Cloud Sandals offer an extra layer of cushioning and they’re what I wore on my most recent rafting trip. 2. A Comfortable Bathing Suit - Stretch Planning Board Shorts by Patagonia - If you’re going rafting and don’t have a bathing suit that fits right and allows you to move freely, it’s time to get a new one. Patagonia makes excellent board shorts, like these which feature a two-way stretch and 50+UPF sun protection. Extra: Guys, you’ll want to wear a pair of compression shorts/athletic underwear underneath your board shorts. 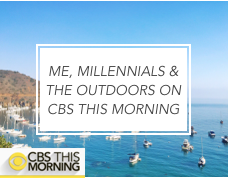 You may also want to consider a pair of compression tights to help protect you legs from the sun as the area from the mid-thighs to the knees is a prime location to get sunburned while rafting. Ladies, rafting outfitters suggest you start with a two-piece bathing suit (they allow for better mobility) then layer on top of that just as the guys would and as you feel comfortable (tights, lightweight athletic t-shirts, sun shirts, etc.). 3. Sun Protection – Terminal Tackle Hoodie by Columbia - On the river, you’ll almost always be exposed to the sun. Therefore, it’s vital you A) go crazy with the sunscreen and B) get yourself a lightweight, breathable sun shirt (i.e. clothing with UPF protection built in). This one from Columbia features a 50+ UPF rating, quick dry, wicking fabric and a higher neckline for increase sun coverage. Its hood will also come in handy when you get to camp and can pull it up to protect you head and ears. Extra: For more sun protection, bring a multiclava (also known as a “buff”), like this ultralight and breathable option from Eddie Bauer. I brought this exact one and wore it around my neck while rafting (protecting the back from the sun). It’s a versatile piece of fabric and can be used and worn in a variety of ways. See more buffs here and learn all the ways you can wear them here. 4. A Light, Quick-Dry T-Shirt - Vapor Crew Neck Tee by RYU – Even if you’re wearing a long sleeve sun shirt, a light, breathable and quick-drying t-shirt should always be your foundation (seriously, don’t just bring some old cotton t-shirt). A good option is the Vapor Crew Neck Tee from RYU because it’s super lightweight and comfortable, ultra-breathable (thanks to strategically placed mesh zones and cool-touch nylon yarn that wicks sweat away from your body) and will help keep you smelling fresh (thanks to the Polygiene integrated into the fabric that helps prevent the growth of odor causing bacteria). Side note: the Vapor Crew Neck Tee is also my go-to gym shirt. 5. 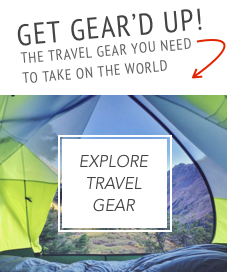 Sunglasses and Sunglasses Retainer – Don’t go rafting without a pair of snug-fitting sport sunglasses. They’ll help you see by protecting your eyes from the sun and sun reflecting off the water, and from splashes of water to the face. Leave you fancy sunglasses at home and get a pair meant for active adventures. 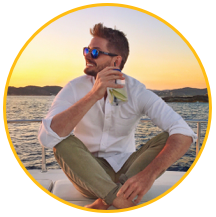 You could treat yourself to the Parallel Max Polarized Sunglasses by Smith, or just pick up something on the cheap off Amazon, like these. You’ll also want to buy a sunglasses retainer (a strap that connects to the ends of the sunglasses and goes around your neck) to prevent your sunnies from falling into the water. Any of these options from Croakies are a good bet. Extra:Don’t forget a baseball hat or sunhat to wear under your rafting helmet. 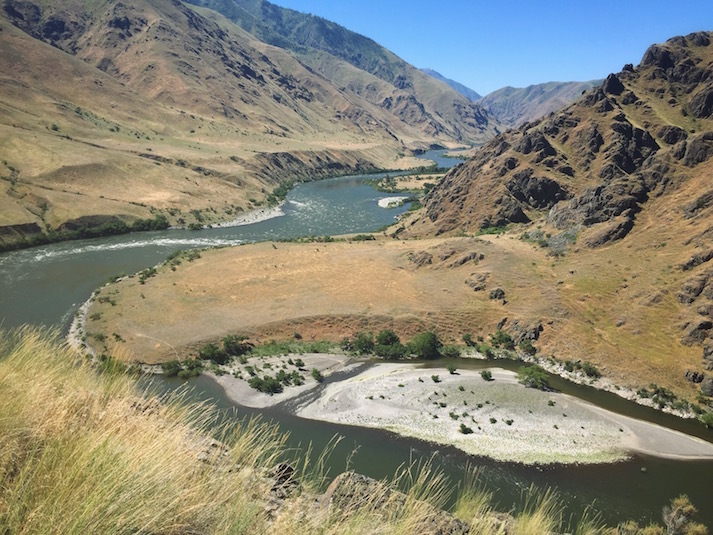 Good To Know: Depending on the temperature of the river, air temperature, and chance of getting soaked by rapids, some rafting outfitters may provide guests with wetsuits and/or splash jackets to wear. These will help keep you warm and maybe a little drier. 1. Quality Socks - Hike Medium Crew Socks by Smartwool - Once you get settled at camp and air out your wet feet, you’ll want nothing more than to put on a good pair of dry socks. For a summer rafting trip, you can’t go wrong with any light or medium cushioned sock from Smartwool. 2. Camp Shoes – In addition to clean, dry socks, you’ll also be ready for some clean, dry shoes — so don’t forget to bring a pair for the purposes of walking around camp. 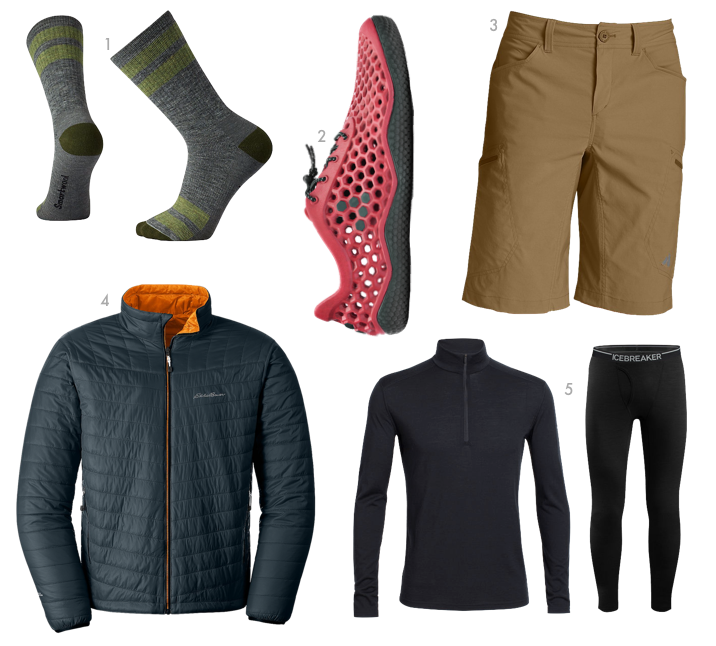 Most sneakers with enough grip on the bottom should do the trick, or you can try the light and packable Ultra 3 from Vivobarefoot, or the self-draining Loyak Water Shoes from Astral. 3. 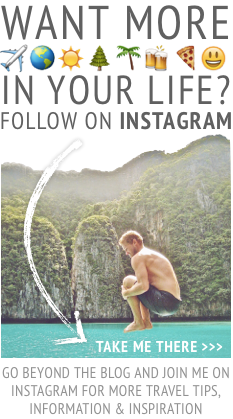 Light, Adventure Shorts - Guide Pro Shorts by Eddie Bauer – When you’re ready to get out of your wet bathing suit, a lightweight and breathable pair of shorts is the way to go. These from Eddie Bauer feature a water-repelling finish, 50+UPF sun protection and two-way flex construction (they’re great for hiking). 4. A Light Jacket - IgniteLight Reversible Jacket by Eddie Bauer – For evenings at camp, a light jacket can come in handy. This one from Eddie Bauer is compressible (it packs down into its own pocket for easy transport), windproof and lightweight while still providing warmth. 5. Base layers - Oasis Leggings and Oasis Long Sleeve Half Zip by Icebreaker – Depending on where you raft (mainly at what elevation) and current weather conditions, your rafting outfitter may suggest bringing a base layer as even in summer months, nights and mornings in the mountains can be cool. The base layers you use for skiing may be too warm, so opt for something mid-weight, like the Oasis top and bottom from Icebreaker (while hanging out around camp at night, I put these bottoms on under my Pro Guide shorts). Made of high quality merino wool, they’re comfortable, oder resistant and will help regulate you body temperature without over heating. More: This isn’t a definitive list. 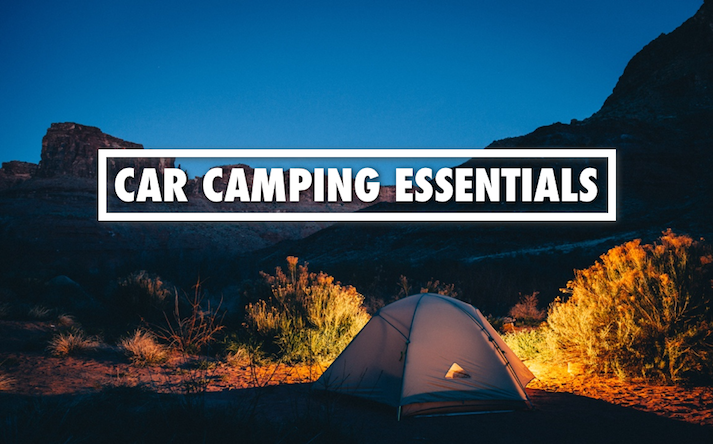 Bring anything you might also want while camping, like a sweatshirt, additional t-shits and a flannel button up. 1. Phone Protection - Waterproof Case by Catalyst – For obvious reasons, be sure to bring a waterproof case for your phone. Whether you’re just standing next to the river at camp or want to pull out your phone to take a photo while on the raft, a waterproof case will ensure you return home with a working phone. Catalyst, the case I’ve used during all season and from skiing to swimming in the ocean, makes case for all iPhones. 2. A Power Source - Venture 30 Recharger by Goal Zero – Venture out on a river trip for more than a day and chances are your electronics will die. To keep things like your phone and GoPro charged and ready to go, bring the compact, rugged and weatherproof Venture 30 Recharger from Goal Zero. While you shouldn’t dunk it in the water, it can handle rain and a tumble if you drop it. It’ll also give your phone well over two full charges. If you’re in need of less power (or want to spend less money), try Goal Zero’s Flip 20 Portable Charger. 3. A Headlamp - Revolt Headlamp by Black Diamond – From finding something in your bag, to finding your way back to your tent or to the bathroom at night, a headlamp is an overnight rafting trip staple. Try the waterproof, 300-lumen, Revolt Headlamp from Black Diamond. Capable of casting a wide and bright light, as well as dim-able, focused light, it can be powered by both AAA batteries and USB rechargeable batteries (another use for the above mentioned portable power banks). It also features a battery indicator light so you’re never surprised by a dead headlamp. 4. 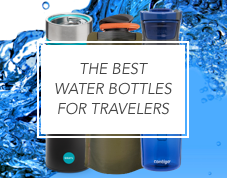 A High Quality, Insulated Water Bottle - Rambler 26 oz. by Yeti – Made with kitchen grade stainless steal and ready to take on anything the outdoors can throw at it, the Yeti Rambler is and double-wall vacuum insulated water bottle that’ll keep your drink ice cold all day long (and trust me, on a hot river or when you’re tired and sweaty at the end of the day, you won’t want to chug lukewarm water). To customize your drinking experience, consider adding in the chug cap. 5. Enhanced Vision - B.3 Binoculars by Maven – On my rafting trip, we saw bald eagles on three separate occasions; always perched in a tree and always at a distance. In moments like these (and for generally taking in the wildlife and scenery) you’ll wish you had a pair of binoculars. While you could pick up a cheap pair at a local outdoor store, these binoculars from Maven offer top-of-the-line features for a middle-of-the-road price. Plus, they’re compact and won’t weigh you down. Need a little inspiration to hit the river this summer? 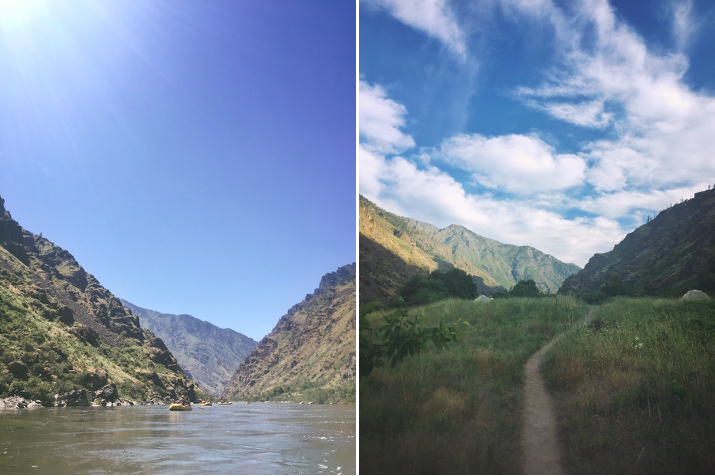 Here are a few photos from my recent rafting trip down Idaho’s Snake River though Hell’s Canyon. 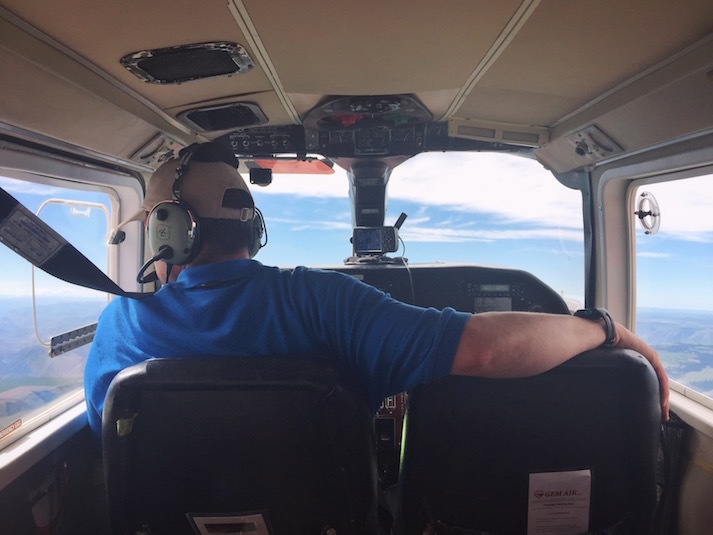 Getting to Idaho’s remote Snake River required a charter flight on a six seater prop plane and landing in what was essentially a farmer’s field in eastern Oregon (near the border of Idaho). 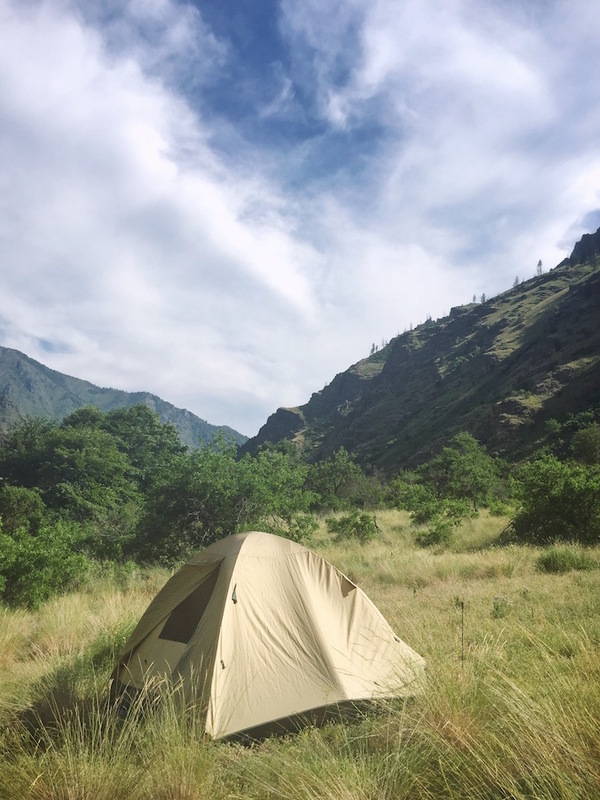 Rafting through Hell’s Canyon // The path to our riverside campsite on night one. My tent on night one. Pulled over to scout out the rapids before running them. They may look small from this vantage point, but these were solid class four rapids here. Hanging in the river at our campsite for night two. The sandy area towards the left was the location of our campsite on night two. The view from my tent on night two of camping. It doesn’t get much better than that!